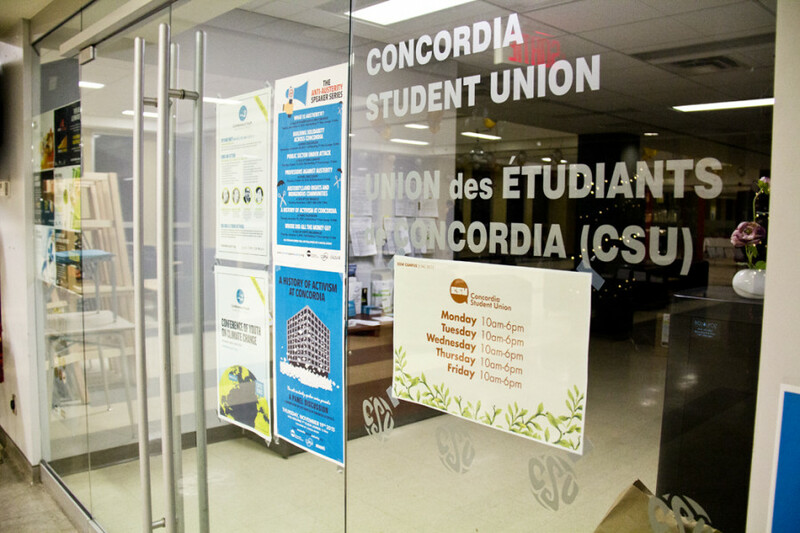 Soulaymane El Alaoui, the Concordia Student Union’s Finance Coordinator, announced his resignation Wednesday night. In a statement read out at the beginning of a regular council meeting, El Alaoui stated that he would be resigning from his position for personal reasons. “It was a pleasure to work alongside you all and I will be available once my replacement is chosen to help them transition into the role,” he read in his letter. Internal Affairs Coordinator Veronika Rydzewski will act as interim Finance Coordinator until a permanent solution is found. El Alaoui told The Link that he’s passed on all documents related to his ongoing projects to the general manager, Robert Henri, who will pass them onto the next finance coordinator. “I’ve done my best to make sure it’s a seamless transition, that the actual corporation that is the CSU doesn’t take too much of a hit,” El Alaoui added in an interview. He did not stay for the full council meeting, as his resignation is effective immediately. “I would just like to […] recognize how good of an opportunity it was to work with Soulay. I think a lot was accomplished despite some of the other things that we had a run-in with. There were a lot of internal policies that were set, I think there was an increase in accountability, I think there was an increase in transparency,” General Coordinator Omar Riaz said in an interview. Rydzewski will act as finance coordinator over the next few weeks, as the CSU issues a call for applicants. Council decided that any Concordia undergraduate student will be eligible to apply for the role, with priority given to council members—including current council members and those who will be elected in by-elections next week. Candidates for the position will submit an application, and will undergo an interview with council at a special council meeting. They will then be appointed to the position. Arts and Science councillor Rowan Gaudet suggested Rydzewski to be the interim finance coordinator since, after consulting CSU executive members, he felt her position as internal coordinator is related to finance, and gives her a decent understanding of the finance role. “As Internal, [most of my mandate], involves club finances so I’m familiar with the financial policies,” Rydzeski added. Rydzewski said that El Alaoui had not informed executive members beforehand and that she was shocked by the news. “I hope that everything that’s going on in his personal life will turn out okay, and I applaud him for being that responsible and knowing when to step back and when to take care of [his] own [stuff],” she said. While El Alaoui can’t see himself returning as an executive in the foreseeable future, he hopes to someway be involved in the CSU on a volunteer basis.